If you think you have asthma.If you have frequent coughing or wheezing that lasts more than a few days or any other signs or symptoms of asthma, see your doctor. Treating asthma early may prevent long-term lung damage and help keep the condition from worsening over time. To monitor your asthma after diagnosis.If you know you have asthma, work with your doctor to keep it under control. Good long-term control helps you feel better from day to day and can prevent a life-threatening asthma attack. If your asthma symptoms get worse.Contact your doctor right away if your medication doesn’t seem to ease your symptoms or if you need to use your quick-relief inhaler more often. Don’t try to solve the problem by taking more medication without consulting your doctor. Overusing asthma medication can cause side effects and may make your asthma worse. To review your treatment.Asthma often changes over time. Meet with your doctor regularly to discuss your symptoms and make any needed treatment adjustments. Gastroesophageal reflux disease (GERD), a condition in which stomach acids back up into your throat. Follow your asthma action plan.With your doctor and health care team, write a detailed plan for taking medications and managing an asthma attack. Then be sure to follow your plan. Get vaccinated for influenza and pneumonia.Staying current with vaccinations can prevent flu and pneumonia from triggering asthma flare-ups. Identify and avoid asthma triggers.A number of outdoor allergens and irritants — ranging from pollen and mold to cold air and air pollution — can trigger asthma attacks. Find out what causes or worsens your asthma, and take steps to avoid those triggers. Monitor your breathing.You may learn to recognize warning signs of an impending attack, such as slight coughing, wheezing or shortness of breath. But because your lung function may decrease before you notice any signs or symptoms, regularly measure and record your peak airflow with a home peak flow meter. Identify and treat attacks early.If you act quickly, you’re less likely to have a severe attack. You also won’t need as much medication to control your symptoms. Take your medication as prescribed.Just because your asthma seems to be improving, don’t change anything without first talking to your doctor. It’s a good idea to bring your medications with you to each doctor visit, so your doctor can double-check that you’re using your medications correctly and taking the right dose. 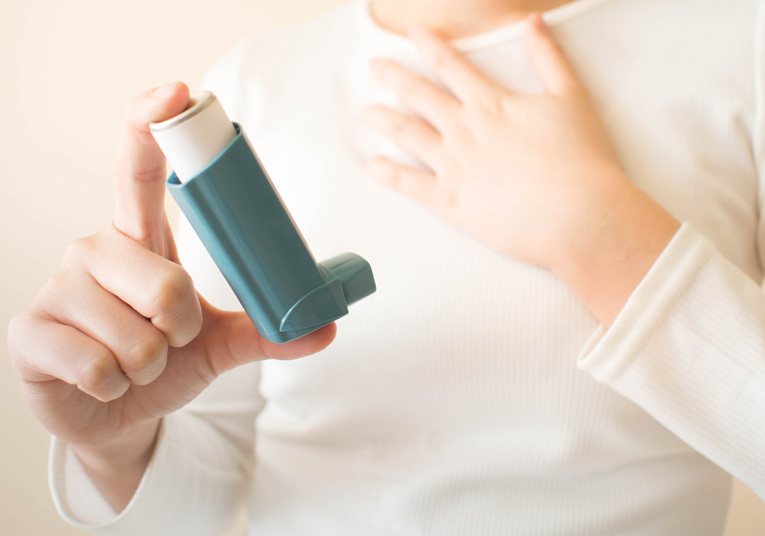 Pay attention to increasing quick-relief inhaler use.If you find yourself relying on your quick-relief inhaler, such as albuterol, your asthma isn’t under control. See your doctor about adjusting your treatment.